Are you ready? How we Montessori Shop. I know it's been quiet here but I've been super busy making sure that everything is ready. How we Montessori Shop will open this Thursday, 3 October. I don't need to tell you how excited I am, please stop by on Wednesday for a sneak peak! Do you have a quiet place? Breathe, breathe deep. Touch. Feel. Fresh air and natural textures. We've recently found a new quiet place. The boys can run, sing and shout without breaking anything or disturbing anyone. Our quiet place has water. And sand. And rocks, moss, stones, sticks and grass. Wet, dry, spiky, slippery, furry, soft and smooth. Whirly, windy, splashing, cold. Sometime I lack ideas of what to rotate on Otis's art shelves - so I decided to make a list. I find there are lots of advantages of rotating art activities like this. We usually only have three trays out at a time. Although there are often pencils or crayons available in the study. Having all the items that Otis needs within the tray makes it easier for him to use and pack up. With the exception of water for washing his paint brush (which he needs to ask me for) and his smock and place-mat which he can access himself. It's a real self contained way of presenting the materials. 1. Pencils and paper, 2. Collage, 3. Chalk and chalkboard, 4. Crayon rubbings, 5. Water colour paint and water colour paper, 6. Natural Clay and tools, 7. Soft pastels with pastel paper, 8. White poster marker and black card, 9. Water colours with pipette and water colour paper, 10. Natural charcoal and card, 11. Pasting on card, 12. Markers and card, 13. Animal stamps, 14. Cut and paste, 15. Dot stickers, 16. Other stickers, 17. Hole punching, 18. Black marker on coloured card. Some other activities that we rotate include those in which acrylic paint is added when Otis asks for it, painting with a brush, sponge painting, painting with found things and string painting. The top photograph is of Washi Tape, Otis will cut it and stick it onto the card. Otis has an art journal that he will occasionally use. It's also nice to have lots of art on paper and card to give as gifts or to display. These are art activities that Otis will do alone. When Caspar is home their art is usually bigger and a lot less contained! Some family pictures from Floriade. Floriade, our month long celebration of Spring has started and we couldn't be happier. Each year we visit Floriade frequently, entry is free during the day and there is so much for the children to do and see. Floriade - we love you! My photograph on Instagram was taken from the top of this Ferris Wheel. I was trying really hard to stay calm, I'm not good with heights! So many ideas for the home garden! We stayed clear of the celebrities but we would like to go back to meet Costa. He is such a good role model and is really engaging. Why do my vegetables never look this healthy? The boys held a chick and a baby rabbit. It confirmed my thoughts that we need more pets. Caspar spoke at length with the chicken keeper. Yes, we would love some chickens but please no rooster. This (below) is just a fantastic idea! Plants in upside down recycled milk containers. The lids at the bottom are on but have some absorbent cloth hanging out, the lids are not on tight and it looks like excess moisture can escape and drip out. Floriade is open until 13 October 2013. Going into business, it may be a crazy thing to do but I have decided to do it anyway. I never thought I would be a small business owner. I never thought I would leave the workforce for long. When I was pregnant with Caspar I toured all the child care centres in our area. There were twelve. They all fell short of my expectations. I didn't and couldn't sign up to any of them. A month after Caspar was born I resigned from my job and essentially my career. I don't know if I will ever go back to that profession. It just doesn't seem important to me any more. So after almost six years of being a stay at home parent I've been thinking of what I can do, how I can contribute in the few hours I have available. I am very aware of Otis starting school next year, it will only be three hours a day but I know I can make those three hours productive. My inital thoughts were that I could use the time Otis is at school to study, perhaps to work towards a new profession, something that I would find meaningful. I just didn't feel inspired, I couldn't find my calling. I had considered teaching and perhaps studying Montessori. But after spending time in the classroom I came to the realisation that I am not teacher material. Earlier in the year I discussed one particular idea with a friend. We were just catching up, the kids were playing. I mentioned a very specific product that I would like to produce, a product that I thought was much needed and would help a lot of people. Her advice was along the lines of 'you can't just sell one product, you need to open a store'. By the end of our catch up I had in my mind a very good idea of what my store would look like and I didn't want to wait. Fast forward to today and I'm very close to opening. It will be a small online shop, featuring some of our favourite products. I don't want to duplicate any existing services. I hope you will find our shop unique. I hope that I have something new and meaningful to offer to the Montessori community. I'm on schedule to open in the first week of October and I will provide a link in the side bar soon. The shop will have a similar feel to the blog. After building up some experience with the blog I have designed (using a basic template) the shop myself. However I don't want to make it sound like starting a business is as simple as that. I've had to recognise my strengths as well as my weaknesses. Publicly I'd like to thank my Small Business Advisor, Carly who really made the store possible, Ayu who has worked on numerous photography projects, Darcy who has listened to me on a daily basis talk about all my ideas and thoughts, Meghan who is one of the most brilliant people I know, and to my other friends and family who have talked, listened, advised and theorised! And readers of this blog have had a big role to play. After years of discussion about products, the ones we can find, the ones we can't, the products that work and how we use them. You have given me advice that only other Montessori parents can. I thank you sincerely. I also need to thank the numerous suppliers who have met my at times strange and demanding requests. 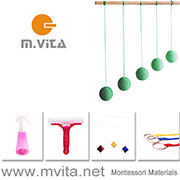 Many suppliers hadn't heard of Montessori before and other suppliers are Montessori mothers who have designed and produced their own products. I have a wonderful local broom company that for the very time has produced toddler brooms - just for us. We have organic training pants designed by a Montessori guide wanting only the finest product for her family. I don't want to give too much away, I want there to be some surprises on opening day. Julia, just for you, here is a sneak peak of Otis using one of our hard to find products. For a bit of fun (we don't take ourselves too seriously!) we will be selling these really cute strawberry slicers. We might be making strawberry jam really soon. If you are looking for child sized kitchen tools I know you will love our selection. Some links and my big news! 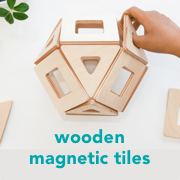 I recently shared a link on Facebook to the new blog Montessori Moms. If you haven't read it yet it contains lots of information about infant Montessori. It's written by a group of new mothers who are also Assistant to Infancy trained, led by Carrie from Beginning Montessori. Another Carrie has recently written about the her experiences Baby at Home: The first six months at Zest & Zeal. This post contains lots of good ideas for the home environment and materials for this age. While it's been over a month (eek two months!) I must offer a public congratulations to Sara on the birth of Tate! Sara has recently written a couple of posts about having a newborn and parenting for the second time. One of the most frequently asked questions I receive on the blog is where did I find Otis' low shelves. While the shelves haven't been available for many years I recently found some shelves that look very similar. Made in Canada, the Natural Solid Wood Montessori style shelf unit by Highland Wood look beautiful and are very much like our shelves - which have now been gifted to a very sweet baby girl to use in her own Montessori environment. I have signed up to an upcoming Silent Journey event at our school. Until a couple of weeks ago I had never heard of it and now I feel a little in the dark. Any advice going in? Should I read up on it or go in with an open mind? MariaMontessori.com share a photo essay of The Silent Journey and Discovery event led by Barbara Gordon. On a personal note you know that I have been working very hard at another Montessori project. It has been many, many months in the making and oh so many collaborations! I am very excited to announce that next month I will be launching my very own online store!! The store will feature many of the hard to find materials we have used in our home and a lot of our favourites. I can't wait to share all the details with you! No you can't. Oh, yes you can! If anyone had asked me about the right time to introduce grating or juicing I would have said to wait to at least until the child is three. I've heard a Montessori guide comment that juicing in a toddler class is almost 'tokenistic', that most children cannot (don't have the hand strength) to do it. From what I have seen this is true, it's usually the children closest to three that can productively juice. Grating and juicing are two activities I thought Otis would not be able to do and as I felt he wasn't ready and would only face frustration I haven't introduced them to him. However Otis watches every (week)day as Caspar grates his carrot and cheese (for a carrot and cheese sandwich!). Then earlier this week as Caspar put down the carrot Otis just picked it up and started grating. He was grating productively! No you can't Otis. Oh, yes you can! Yesterday at school (Montessori Parent-Toddler Program) Otis was attracted for the first time to the juicing tray. Yes, I was caught out. Yes, he could do it. Today as I prepared oranges for my smoothie Otis asked to make orange juice. Of course, it's still front in his memory from only just yesterday how much fun juicing is and how much satisfaction he derived from the activity. Today he juiced six oranges, until we ran out. For anyone reading this at home with a toddler Otis (at 29 months) doesn't so much twist to juice the orange, he mostly just squishes it to get the juice out. Then he will move the orange and squish it again. He has the hand strength to squish but not the wrist strength to squish and twist at the same time. It's actually quite a complex movement to master. I apologise for the picture overload, I just love to photograph a child at work, being challenged as Otis is here pouring the juice. He spills a little but the main thing is he gets enough in the glass to drink and to feel satisfied. To feel accomplished. To make the activity successful. This post isn't really about juicing or grating. It's about children doing things we think they can't. It's about how children observe and want to do things because they see others doing it. It's about realising that we (as parents) don't always get it right, sometimes it takes an external trigger for us to realise what children are really capable of. It's also about how satisfying a simple practical life activity can be! I also hear criticism of parents encouraging their children (toddlers) to use real glass. Oh, my gosh, even from Montessori parents. If your child is already using real glasses and real plates and bowls, please don't give into temptation to use a plastic juicer. The glass juicer is heavy but I can see Otis's concentration and care because it is glass, because it is breakable. Let's be authentic. Would you like another room tour? This is Amelie's room and it's beautiful! The photographs really say it all but here is a short description by Amelie's Mum. Welcome to Amelie’s first bedroom. We were greatly inspired by Sew Liberated, One Claire Day and of course How we Montessori. There is a lot of handmade love in this room, I made her curtains and quilt and her Dad made her window seat and bed surround. Not to mention it was a family effort involving the Granddads to paint the room and install the mirror and shelves. I am amazed given this space was created for a little personality we couldn’t even imagine that we are now observing so many of the corners of the room suit her purpose perfectly. Because we all want to know, I asked Amelie's Mum where she sourced some of the items including the gorgeous prints. And the low shelves, well they are just perfect! The low shelves with the seat is the window seat that Amelie's dad made, he did the wooden bit and I made the cushion. I really hope it grows with her. Our plan is to adjust it to a dressing space for her when she gets bigger it should be just the right height for sitting on and putting on pants and shoes. Oh and he also made the wooden bed surround super simple but it works. The framed picture on the end of the seat is a rotating waldorf picture, I have a few of the other designs to put into the frame. The framed print above the mirror is a limited edition print from one of my favourite Eric Carle books Draw Me a Star. Often when Amelie is unhappy I will rock her holding her so she look at this print over my shoulder and she appears to calm down as she examines it. The photos in the white frames are Amelie's Great Nan, Nanna Robyn and me when we are little. I wanted her to see that all these grown up women in her lives were once little girls just like her. A sort of mini family tree connecting her to her past. Thank you so much to Amelie's family for sharing this space with us. This environment is classic Montessori when it comes to beauty and simplicity. I love the handmade touches and it's so special to know the handwork that when into creating this space. The floor bed and movement area are well placed with the low shelves separating the two. This is an environment that promotes movement. It's easy to visualise a child waking, crawling (or slithering!) to the low shelves to play and moving onto movement area after catching their reflection in the wall mirror. A child can use the low shelves to pull themselves up (the shelves/seat look nice and steady) and the low window provides a great incentive for the child to do so. Beautiful! We love cooking. It's absolutely one thing you can say about our family. Caspar and Otis are always asking to bake and they always want to bake a cake. Today they both wanted to make chocolate cake but Otis also wanted to make a banana cake. To make sure everyone got the cake they wanted I decided it was Choose Your Own Ingredients day! Otis started with bananas and ended up with banana, chocolate (raw cacao) and oat muffins. Caspar went a little crazy with his ingredients and made a chocolate (raw cacao), coconut and orange cake with ground pepitas, ground chia seeds and maple syrup . Both children also used a 50/50 mix of white and wholemeal spelt four, rapadura sugar, egg and baking powder. Both tasted amazingly good. I helped both children (when possible) with quantities but it was a really good lesson especially for Caspar on creating a nice texture and the ingredients that go into a cake. In some ways it was even a science lesson when we needed to work out (guesstimate) the amount of baking powder needed to make the cakes rise. A fun, practical life lesson.